Valley Girl -A top coat with "micro pink, pink square and multi-sized green glitter" If you love this buy it NOW. She has a few left and posted when they are gone, they are gone! 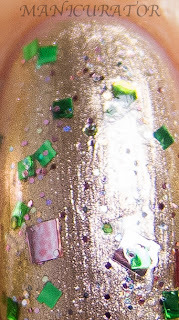 This is Pink Lemonade (2 coats) over 1 coat of The New Black, their blue from the Runway Set. Both have an easy application. No issues. This is The New Black's blue from the Runway Set on it's own. Just one coat! Pretty light dusty blue. This is 2 coats. 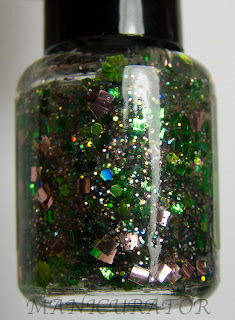 If I weren't putting something over it, I would go for 3 thin coats for opaqueness. This went on easily, no issues except it being a little thin. 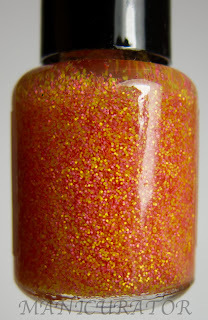 Lippmann Sugar Daddy! 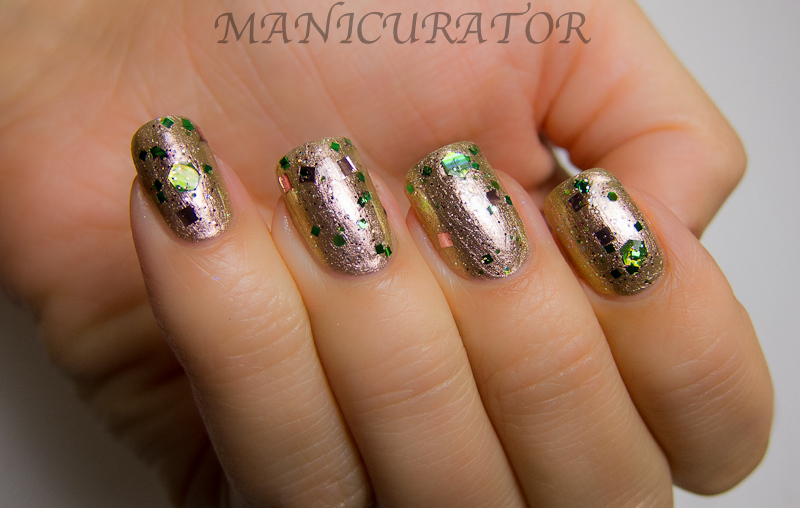 Two coats, super pretty pink/gold shift. Hope I was helpful towards any purchases you may be thinking about! Hope you are staying cool, it's blistering hot over here! *Disclosure* Some of the products in this post were sent to me for my honest opinion and review. As always, my loyalties are to my reader first and foremost. 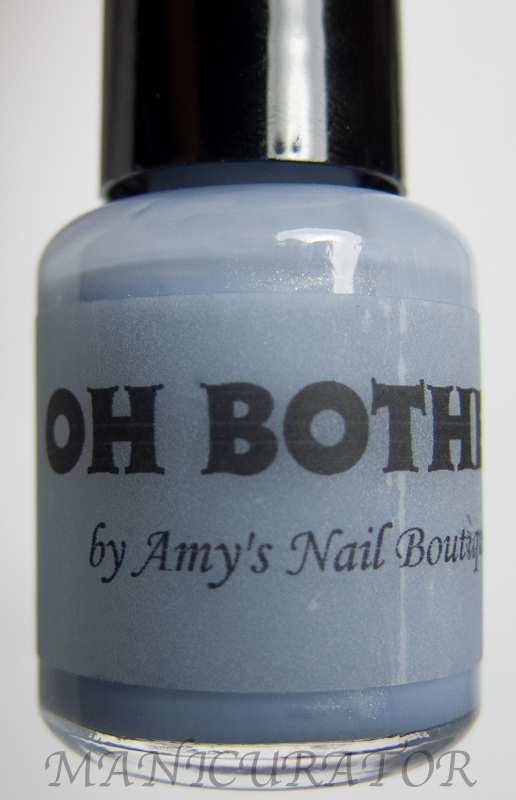 Amy's nail polishes are SO amazing and unique!!! Gotta get my hands on them!! 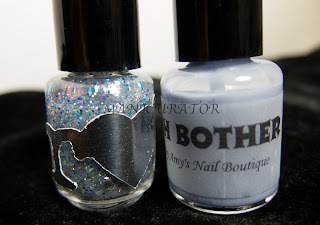 I love how you paired these to show off the greatness of both polishes! Like them all but love the first one, very special! I LOVE the combo you did for pink lemonade!